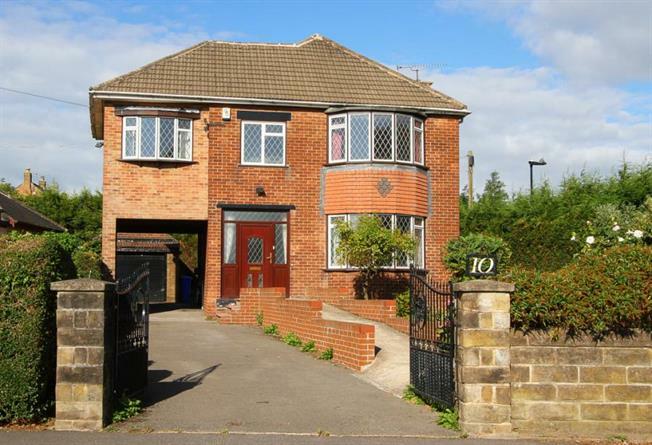 Offered for sale with NO ONWARD CHAIN, boasting enormous potential is this fantastic, effectively extended four bedroom detached property, located in the popular area of Gleadless, the property is ideally placed for local shops, schools, amenities and transport links. In brief the property comprises of; To the ground floor the entrance hallway leads into a spacious living room with front bay window and gas feature fireplace, there is under stairs storage, downstairs w/c and further access into a contemporary fitted dining kitchen which comprises of a range of wall and base units with roll top work surfaces. There is access into the conservatory and to the rear of the property. To the first floor is the master bedroom with fitted wardrobes, a further second double bedroom, third double bedroom with en-suite, fourth single bedroom and modern three piece family bathroom suite. The property boasts a driveway for off street parking for several vehicles, generous wrap around gardens to three sides and detached garage. Ideally suited to a family or developer and early viewing is highly recommended on this superb home!